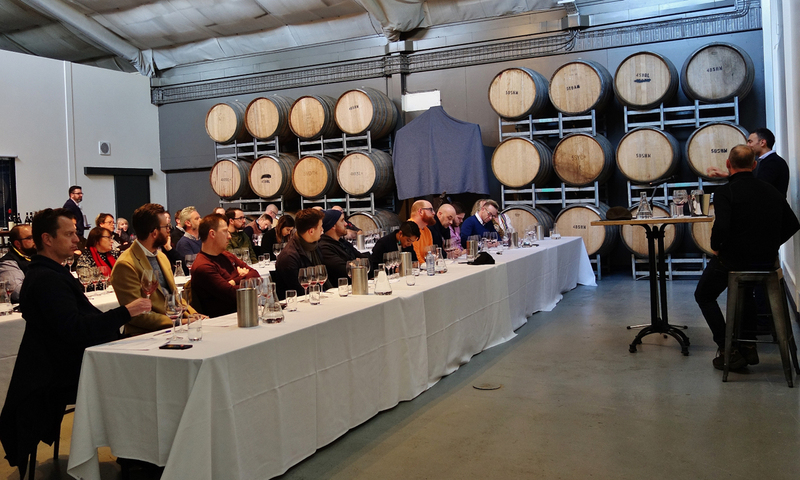 Philip White’s been to a challenging and revealing tasting at S.C. Pannell. One of the lovely things in this long wine saga is watching Steve, or more formally Stephen, S.C. Pannell, pour out his winemaking evolution. In many ways he’s a pod, a human loose in an uncontrolled capsule that swirls away into the dark unknown, the gravity of his curiosity powering its escape and drawing our eternal attention. In others, he’s a highly focused, entirely deliberate wine mason determined to show us buildings he’s made of wine stones other than the usual Shiraz and Cabernet everyone gets down the local quarry. Some of his most recent wine buildings are made from a range of grapes as wildly varied and unlikely as the ironstone conglomerate in the walls of the old Tintara Winery, where he was boss red winemaker for what was then BRL-Hardy, one of our biggest ever wine companies. Those rocks are all sand and iron, like all his new wines are grapes, but both vary more widely in composition than the cakes up at Muratti Cakes & Gateaux. My fave recent Steve, for example, is a blend of Malbec, Shiraz, Touriga and Tinto Cao. You never saw one of those before. It’s called the Tanino 2016 and it’s only 13.8 per cent naughty bits. Get a magnum and revel. Take a basket of antipasto. Mezes. Charcuterie. Crunchy Bosc pears. Also, he makes what are among Australia’s best Nebbiolo reds. From his addiction to pursing those flavours of the old world, where he goes to make wine every chance he gets, Steve had his mate Giuseppe Vajra present some of his wines yesterday, in the S.C. Pannell barrel hall in McLaren Vale. Steve had first made Barolo with Aldo; now here’s Aldo’s son Giuseppe presenting a few smack-in-the-head reds from the business named G.D. Vajra after Aldo’s dad. Vajra – the j is soft, as in Vaira – is a bold business in Italy’s Piedmonte. Giuseppe’s grandfather fought the fascists; his father fought the wowsers and determined to make better wines when Barolo wasn’t particularly fashionable and people were getting out; Giuseppe fights mediocrity. And among other staunch dainties makes Nebbiolo. He’s right back in. As he and Steve bounced off each other’s cheery yarn-spinning, I found myself suspecting that Giuseppe couldn’t believe his luck, standing there in South Australia, presenting to the local millionaires, winemakers and sommeliers. I had to remind myself that silversleeves, silverspoons, silvertails and shinyarse bankers are the only types you’ll hear using words like Nebbiolo and Barolo loudly. The nascent, the prescient and the aspirant winer whisper them, in hope. In my experience, those who understand them best rarely utter the words at all, understanding in their tastefully polite way how much friggin money good ones cost. Also, how close to the beginning of its evolution is its source, the Barolo region, where new cash-rich attention from outsiders is flushing out the most worn bits of history to replace them with new ideas in the vineyards and wineries. After two or three thousands years of winemaking, the joint is finding new feet. It’s discovering, for example, its calcareous geology; its irony sandstone. In his winemaking visits there over a couple of short decades, Steve has actually played a part in its new attitude and direction; its give and take. And put simply, it’s chaotic. In many ways, this new Barolo appellation makes McLaren Vale look organised. So if you’re driving east through from the Riviera and Nice toward Genoa, don’t turn left up the hill toward Turin unless the Ferrari is full of cash. Classic Barolo tasting notes use words like “amplification” and “steel”. This is because it’s still cold there on the south side of the Alps and Nebbiolo has low colour, high acid, and a peculiar type of tannin that flies in to land on the wine as you swallow it. Or hovers above it like a cloud. It’s the opposite of most Shiraz, where the tannin forms a basement and sets there like ballast under the tongue. Good Barolo is lean and mean like the Pinot just over the mountains there in Burgundy. But without so much instantly gratifying flesh. Barolo takes longer. Only a jerk or one of the Sopranos would trouble it young. In fact, Tony & Co can take the blame for a lot of its resurgence. In this retro age of science-defying, so-called “natural” winemaking, there are few classic by-products of uncontrolled fermentation more readily achieved than volatile acidity. VA. Some people love it – it’s acetic acid, the prime acid of vinegar … the stuff spread across open fermenters like jam by the Vinegar Fly, Drosophila melanogaster. Some winemakers encourage a little of it, in a controlled way. Balsamic-like VA was one of the vital aspects of the old-style Grange Shiraz, particularly those made by Don Ditter (1975-86) and John Duval (86-02). Most of the eight wines Giuseppe poured for us had some of this volatility. I find this a tricky thing to overlook in wines as uncompromising and sabre-slim – even brittle – in such braw infancy. My favourite was the wine which seemed to show the least amount of it: the Barolo Ravera 2014 (about $140). This was a vibrant, tantalising, lively drink. At first, it smelled like lemon juice on fresh-cracked cherry kernels. Then some maraschino flesh grew on that sabre blade; then grilled cashew on redcurrant pressings, through cranberry toward salmonberry. Damn thing grows from childhood to juvenile. The first sip was austere and not nearly as rewarding as that bouquet teased. Let it sit, glowering at you, daring you, for another half hour and it begins to mumble. I wonder whether I can live long enough to enjoy this uncompromising beauty at its maturation? Give it a good hour or maybe two in a broad decanter. 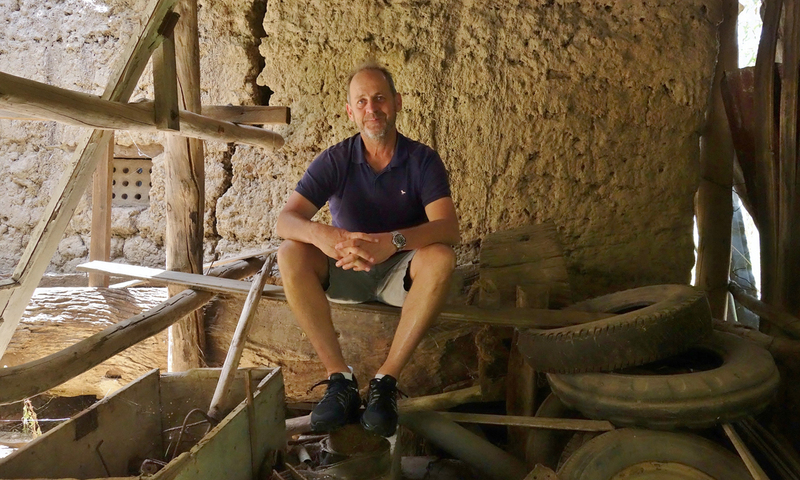 As Giuseppe delivered his folksy familial tales of life in a region just emergent with a new meaning, I wondered about human nature as applied to wine: what is it that leads us so keenly to discover new things before anybody else discovers them? Even to make something almost forgotten famous again? Perhaps before it’s ready? Is it ever ready? Surely there’s more than chaos in change? While S.C. Pannell is a source of those leading Australian Nebbies, I think it’s significant that he’s also playing with a great mixture of other varieties and blends. We seemed to agree that global warming could make VA even more of a regional character if Barolo winemakers stick to their rustic traditions as their ferments grow warmer and shorter. I reassured myself that Pannell’s intelligent attack on the full palette of unheard-of varieties at least brings the protection sometimes offered by considered chaos. A cup of sieved fractals; a pound of Fibonaci; stir in some Mandelbrot. It seems to me the age of the great new thing, the single sanctified top of the pops variety, the grail promoted by the noisiest evangelist might be taking a rest until we sort this new heat. Nebbiolo sure gives me reason to live long, and it’s not about to go away, but the excitement the judicious or foolhardy blender can conjure looks sure to keep us busy while we wait. S.C. Pannell has commenced importing selections from the GD Vajra portfolio.